EASY TO FIT SELF CONTAINED UNIT. Brand new Quality range. Detects entry, loud 100db. 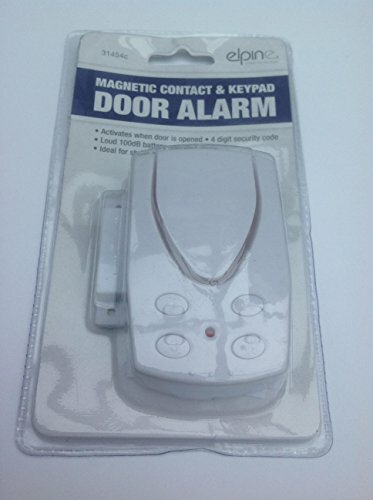 Ideal for shop or workshop entry, or inside door house alarm, ideal elderly. Uses 4x AAA batteries (not included). Completely self contained Easy to fit , instructions on rear ACTIVATES WHEN DOOR / WINDOW OPENED Dis - arm using keypad. ENTRY / EXIT DELAY Ideal house shop entrance workshop shed etc SIMPLE, DOES THE JOB Fits in 10 mins (screws for hanging not included).